3 How Many Calories Is Wheat Toast? A very popular fast-food choice in America is the "submarine sandwich", commonly referred to as a "sub." Subs are named after their submarine-shaped bread rolls, which are traditionally filled with deli meats, cheese, meatballs, or tuna and perhaps lettuce, tomatoes, onions and hot peppers. The sandwiches can be made with both hot and cold fillings. 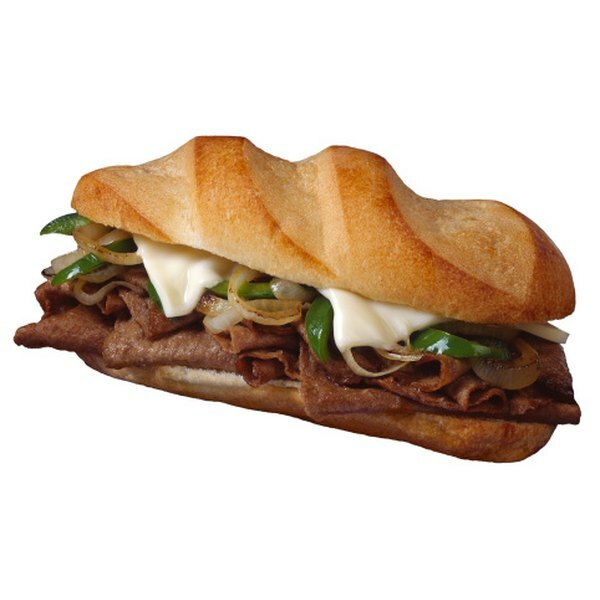 One popular version is inspired by a famous food from the city of Philadelphia: the Philadelphia cheesesteak. Cheesesteak sandwiches are often made with thinkly-sliced pieces of beefsteak, fried onions and melted cheese. The popular restaurant chain "Domino's" offers a version of its own, aptly called the "Philly Cheese Steak Sub." Dominos.com explains that the "daily value" percentages listed for their products' nutrition information are based on a 2,000 calorie per day diet. According to Domino's, one Philly Cheese Steak Sub weighs 329g and provides 690 calories, which is 34 percent of the recommended daily value of calories. The total fat content of one Domino's Philly Cheese Steak Sandwich is 28g, or 43 percent of the total daily value of fat. Fifteen grams of this total are listed as saturated fat, which is 75 percent of the recommended daily value, and 1g is trans fatty acid. One sandwich also delivers 35 percent of the daily value of cholsterol, or 105 mg.
A single Domino's Philly Cheese Steak Sandwich contains 70g of total carbohydrate, which is 23 percent of the recommended daily value. Of the total carbohydrate grams 3g are fiber. There are 78 total grams of protein in one Philly Cheese Steak Sandwich, according to Dominos.com. Seventy-eight grams of protein provide 78 percent of the daily value of protein and account for 156 of the calories in this sandwich. The nutrition facts at Dominos.com reveal that one Philly Cheese Steak Sub contains 2120 mg of Sodium, which is fully 88 percent of the recommended daily value for Sodium in a 2,000 calorie diet. A Domino's Philly Cheese Steak Sub delivers 20 percent of the daily value of Vitamins A and C, 60 percent of the daily value of Calcium and 15 percent of the daily value of Iron. Dominos.com summarizes the calorie, fat, protein and carbohydrate content of a Philly Cheese Steak Sandwich in a way which provides an at-a-glance understanding of the daily values: of the 690 total calories, 250 come from fat, 280 are from carbohydrates and 156 come from protein. 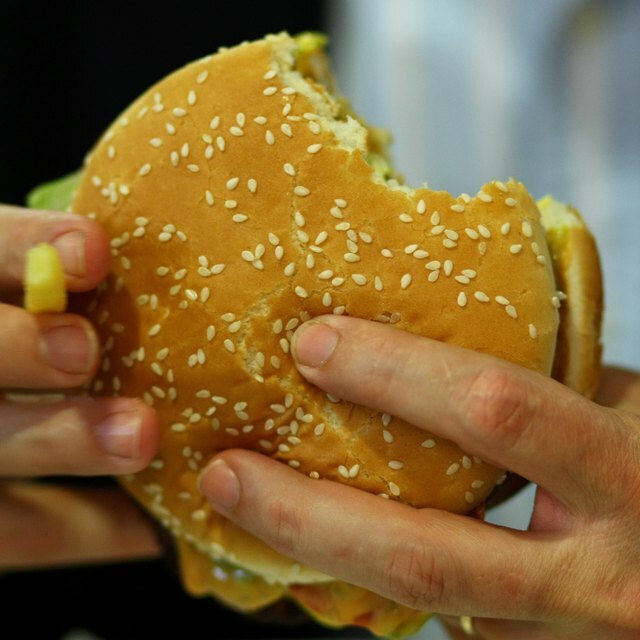 This means that the total fat, carbohydrate and protein values of one sandwich are 42 percent, 23 percent and 78 percent respectively. The "Cleveland Clinic" recommends that most people limit their total sodium intake to no more than 2,400 milligrams per day, or between 600 milligrams and 800 milligrams per meal. With this in mind, it is interesting to note that one Domino's Philly Cheese Steak Sub, which has 2,120 milligrams Sodium, provides almost three times the per-meal recommendation of the Cleveland Clinic.